Days and years have passed where one considered sports as just a recreation activity or hobby. In the present scenario, sports industry has emerged as one of the most lucrative options in India as well as outside. Sports industry is so vast than one could imagine, with a plethora of opportunities. It encompasses not only cricket, football, hockey etc but it is a sum up of all sport, as well as physical fitness and medicine. A career in sports and physical fitness is a unique occupation. 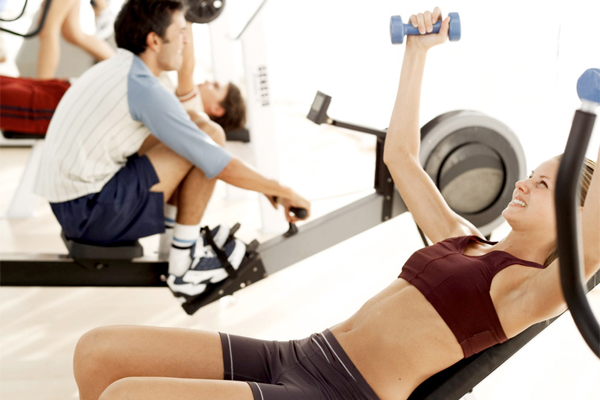 It is a profession by which a student can earn a substantial amount of money and at the same time stay fit. Apart from being a profession, sports has the potential to build character- concepts such as self discipline, teamwork, sacrifice and fair play can be learned and enhanced through athletic competition. A career in sports and physical fitness is a unique occupation. It is a profession by which a student can earn a substantial amount of money and at the same time stay fit. Team Administration includes postings such as Coach, Instructor, Referee, Athletic Director, Physical Trainer (PT) etc. in high schools, colleges, universities and for professional teams. Medicine include Sports Rehabilitation & Orthopedics, Athletic Training, Sports Nutrition, Sports Psychologist etc. Sports Management include Management and Finance, Organising leagues etc. as team manager. One of the largest sports job sectors is health and fitness. There are plenty of opportunities for health and fitness jobs where professional sportsmen and women, as well as amateur athletes require training and conditioning. In fact, wherever you have sports and people that play sports, even on a hobby level, there will be the need for sports injury therapists, personal trainers for various sporting disciplines, health and fitness professionals, strength and conditioning coaches, and more. Those working in the health and fitness business lead and teach individuals, teams, and/or groups of people through cardiovascular exercises, strength training regimens, and stretching to improve flexibility. Fitness is not merely a sports man's pursuit. The fitness mantra seems to be catching up as young people and even senior citizens are realizing the need to maintain good health with a regular fitness regimen. Today, there are several academies and institutes dedicated to impart training in different types of sporting activities. In India, the Sports Authority of India (SAI) is the apex body that is bestowed with the responsibility of encouraging young talent to develop interest in sports and excel in their chosen sporting activities. MRF has been promoting and training cricketers through its Pace Foundation in Chennai. The Tata Football Academy, Kolkata, trains young soccer players, many of whom are now in the big league teams of Mohan Bagan and East Bengal. UK is a great sporting nation with a thriving and passionate sporting culture which provide opportunity to participate in a wide range of sports and to attend great sporting events like Manchester United football match, St. Andrew’s golf tournament, the London Marathon etc. There are also various scholarships provided for those interested in sports in order to sharpen their talents. Netaji Subhas National Institute of Sports (NSNIS), located at Patiala an academic wing of the Sports Authority of India (SAI) is one among them which offer scholarships in India. SAI has several schemes for a variety of sports. Recently, SAI has also set up six Centres of Excellence at Banglaore, Kolkata, Lucknow, Delhi, Gandhinagar and Imphal, where sportspersons who have qualified at the national level up to the 6th position, are trained and promoted.